DWR's upland game coordinator shares why he loves this sport. THERE’S NO NEED to persuade the thousands of Utahns who know the heart-stopping thrill of flushing game birds that it’s time to start making upland game hunt plans. But if for some reason you do need a little convincing, let me share my list of top five reasons I love to hunt upland game in Utah. I grew up hunting and fishing with my dad and brothers. It was a way to not only do something fun outside, but to build lifelong bonds with one another. Even today, we all get together several times a year and hunt upland game. The pheasant opener is a big deal in our family. A family hunting trip for gray partridge. Even better, my wife and little boy join in the fun too. Hunting together strengthens our family relationship and we have a blast doing it. Hunting upland game can be simple and straightforward — perfect for new or young hunters. Life is about the experiences we have. Utah is extremely diverse. I love traveling around the state, finding places I’ve never been. Upland game hunting gives me a reason to go to new mountain ranges or desert hideaways. I love having new adventures. I can safely say every hunting trip I have been on was an adventure, some more exciting than others. I believe that most days in our lives are forgotten — I strive to live as many as possible in a way that allows me to remember them ten years for now. There are many hunts stored in my mind’s eye from long ago, and each and every time I think of them, I smile. Few things can beat that heart-stopping thrill of a flushing bird in a place I’ve never been. 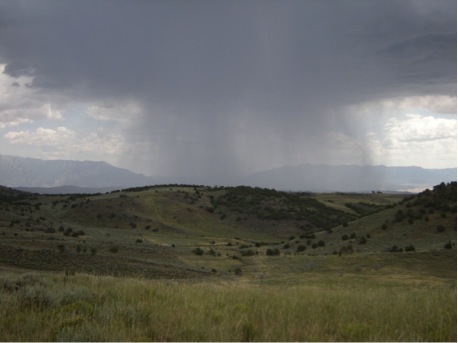 Watching storm clouds roll in during a chukar hunt. Wild game meat is a healthy option for my family and me. The fat to protein ratio is very low, meaning the meat is much leaner with more protein. In addition, the meat is all natural and all organic, to steal a few marketing buzz phrases. In the case of freshly harvested wild bird meat, I know exactly where it comes from and that it is truly as natural and organic as you can get. In order to survive, everyone on earth must eat some type of living creature, be it plant or animal. This is a fact. I like knowing that my food lived a natural life, was properly handled and well prepared. My family understands that this animal died to feed us. Because of that realization, we are connected to the food we eat and have a real appreciation for where it comes from. Everyone should have that experience. To put it simply, it is humbling. Upland game hunters in Utah are very lucky. There is a hunting season happening during 10 of the 12 months. June and July are the only months without some sort of upland game hunt. Several of the species have very long seasons. On top of convenience, Utah also offers quite a plethora of upland game species. Our state is home to twenty species of upland game animals and they occur in just about every inch of Utah. So no matter where you live in Utah, there’s upland game nearby. You can hunt in the Mojave Desert for quail, the alpine habitats of the Uinta Mountains for ptarmigan, the agriculture fields for pheasants, the beautiful yellow and red grandeur of the Wasatch Front for ruffed grouse. Diversity is the spice of life. I could put this reason in with Spending time with family, because my dogs are absolutely considered family. But I thought they deserved their own on the Top 5 list. 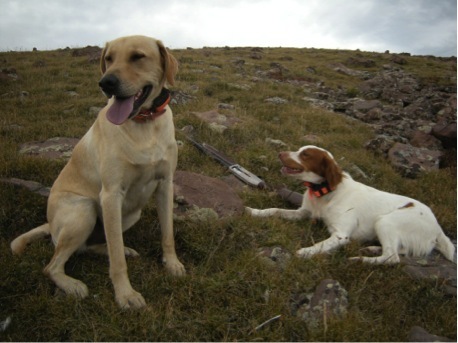 My dogs Gauge and Trigger on a break during a ptarmigan hunt. My dogs join me on every upland game hunt. I enjoy watching them work the hillside or field trying to find hiding upland game species. It comes so naturally to them. It’s easy to tell it’s in their DNA. I have no doubt that they enjoy it too. They get so excited before the hunt. I try to load all my gear without them knowing, but usually I’m just fooling myself. The dogs know exactly what’s going and then craziness ensues. Their excitement hits its peak about the time I put on my hiking boots. 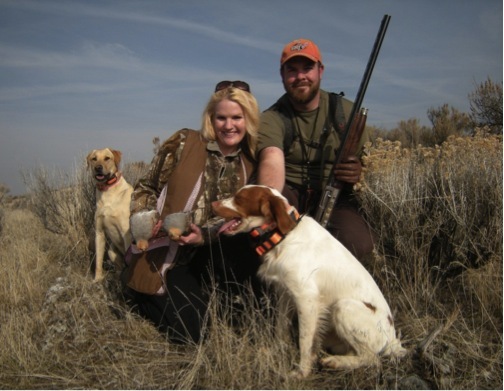 Hunting upland game in Utah is a passion for many, myself included. I hope this list inspires current upland game hunters to come up with their own list of favorites. And for those who have yet to get out there and hunt upland game, trust me when I say you’ll be happy you took the plunge this fall. Is the DWR going to release pheasants again this year like it did last year? Yes. We will be sharing that information soon. I am new to Utah having moved here from Southern California this past July, after spending 70 years of my life in California. I moved here to be near my daughter and my three grandsons, aged 2 to 6. My daughter wants to know when my oldest can get started going with me! Challenge is, I need to learn where to go, when to go, and what to hunt! I know access is always an issue, but have heard of access permits. Thank you. Hunter from California.